The word “syntax” describes the rules we use to put words together to make sentences. It shows the relationship between words and their meaning in sentences. In English, for example, the basic order of a clause is subject-verb-object (SVO). If you change the order, it can change the meaning. “The dog bit the man” means something completely different from “the man bit the dog”. How do you teach syntax? 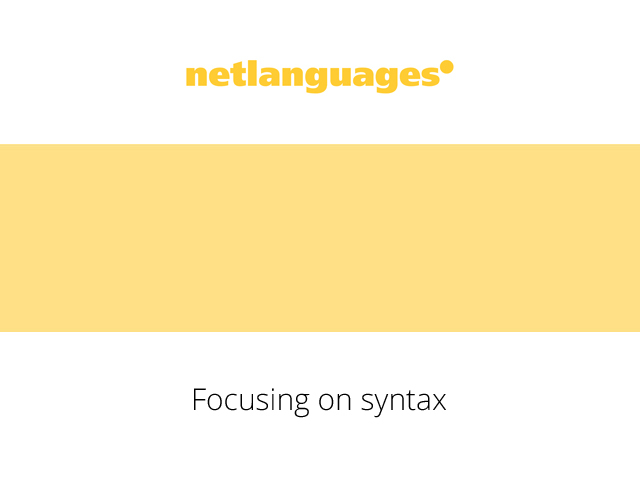 Syntax was originally taught by separating a sentence into grammatical parts, such as subject, verb, etc. This process is called “parsing” a sentence. This can be useful but can be quite academic and not a very interesting exercise for learners. More engaging ways of focusing on syntax are ordering exercises using words or phrases, expanding simple sentences to make them more complex or reducing long sentences to simple ones. The following video is taken from the Elementary level (A2) of the Net Languages General English course. 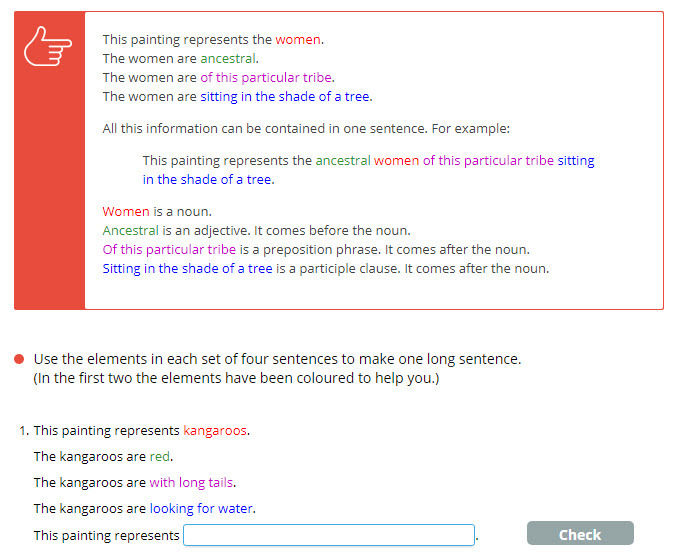 Students look at the structure of subject questions and then do a word-order exercise. In the following grammar exercise, from the Upper Intermediate level (B2) of the Net Languages General English course, the information in four separate sentences is combined into one long sentence. Elements such as adjectives and nouns are identified, and then they are put in the new sentence in an order determined by the rules of syntax. Practical exercises like these help students remember and apply the rules of syntax to construct clear and effective questions and sentences when they write and speak in English.